Conventional Smoke detectors are simply on/off devices and if there is no smoke or heat they do nothing.Conventional Smoke detectors are simply on/off devices and if there is no smoke or heat they do nothing. We offer Conventional Fire Detectors (Microprocessor Based Conventional Panels) . 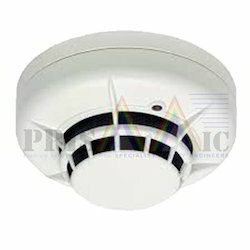 - Conventional Fire Detectors has Micro- controller based. - Availability of 2/4/6/8/10/12/14/16 zone panels. - Multiple zones programmable as delay, immediate, panic or fire. Firm alarm detector mounting boxes in Hexagonal Shape. 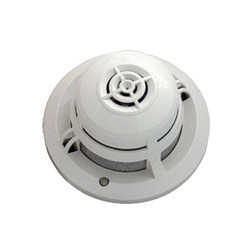 Recognizing the rising requirements and necessities of our respected customers, we are engaged in presenting top class series of Fire Detector. Backed by knowledgeable team, we are providing a comprehensive series of Fire Detection System. Owing to top performance and longer life, this product is extremely used in the market.